Hello there! So, as some of you may know, I like my films quite a lot! I also really love Halloween so, when it gets to Halloween every year there are certain films that I just have to watch! These are a mix of classics from when I was a kid and scary films that I love as an adult (I love horror films!) 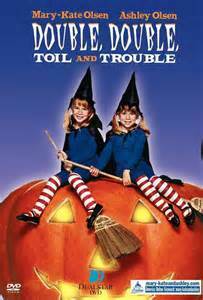 so here goes..
Who didn’t love Mary-Kate and Ashley as a child? I haven’t watched this film since we got rid of our video player, so quite a few years ago now, but it always screams Halloween to me and it was my favourite as a child, so it had to make number 10 on the list! Another childhood classic! This film makes me so happy and it just really puts me in the Halloween mood! I actually watched this on Halloween a few years ago and infamously stopped answering the door to trick-or-treaters after that, it was so scary!! If this was a list of my favourite horror films, the Purge would be a lot higher up! However, whilst it is a horror, the purge isn’t really Halloweeny so I’ve left it at number 7! Ahhhh wasn’t Disney channel just the best around Halloween? I loved twitches as a kid, and definitely wouldn’t mind watching it again now! I used to watch this every year near Halloween with my family (not that it’s really a family film!) and I just love it! I also love that it reminds me of sitting and watching it as a family. Now, I know a lot of people don’t like the parody that is Scary Movie, but I’ve always really liked it! 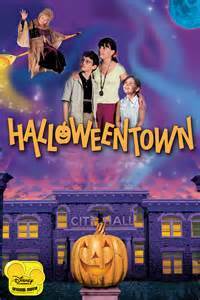 Anyway, it’s good for those who want to watch a comedic, light hearted film that isn’t aimed at children on Halloween! Can this be defined as a Halloween film? Probably not, but I don’t care! I love this film neverthless and it’s spooky so why not! Singing, dancing, animation, a hint of Christmas and no scare factor, The Nightmare Before Christmas is the perfect Halloween film to watch as a family, or throughout the day before you get scared! I would watch this (and the rest of the franchise) over and over and over again throughout September and October, I just loved it so much! And it is still my favourite Halloween film of all, even as an adult! I love the Addams Family! Next Post Last Minute Halloween Costumes!